Knowing about your car is as important if not more than being able to drive your car. Even though there is a technical and mechanical side included in most driving tests, many have felt that it is not adequate enough for the drivers to know the basic know how of a car. 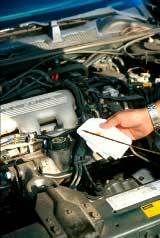 Most of the drivers that you see today have no clue about what is going underneath the bonnet of their car. Obviously a normal individual can not be expected to know detailed knowledge that a mechanic would know for example. However they would be expected to know the basics that ensure their vehicle remains healthy. 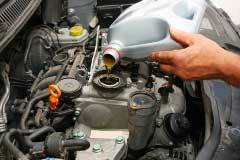 One such aspect, which we will talk about in a bit more depth below, is your car engine oil. Even though it may not seem apparent at first glance, there is a lot of information that you can find out about your car from simply looking at your engine oil. Before we talk about the things that you can learn from your vehicles engine oil, it is important that you know what engine oil is. Engine oil is simply a particular form of liquid (oil) that is put into your engine. Without the engine oil, the car would not be able to run at all let alone efficiently and effectively. Engine oils come in various types and scopes. There are usually three to four different scope engine oils that you can get in the market. All the vehicles engines that we find on the market today all use one or the other. It is important that you use the right one for your vehicle otherwise this could seize your engine which as a result would cost you a lot of money in terms of repair. If you are not sure about which engine oil is used for your vehicle we recommend that you contact your car dealer or manufacture to find out. Most mechanics would be able to tell you as well. In case of unexpected accidents, we supply spare parts to customers. Some cases are reported that a customer who is driving on rough road having trouble with breakdown of shock absorbers. It is very important that you regularly check the engine oil of your vehicle. The way to check your engine oil is really simple. All you have to do is open your bonnet. Locate the engine area and there will be a nozzle that you can pull out. When you pull out the nozzle, there will be a long stick attached to it that basically dips in to the engine where the oil is placed. The stick simply shows you how much engine oil is in your engine. There is a mark on the stick that shows where the engine oil should be. If the oil is slightly below the mark then it is fine. If oil is edging near the end of the stick, it means that you need to change your oil immediately. Technically you should not wait for the oil to drop to such a level. In most cars the oil level never reduces. If this is the cases then there is something wrong with your engine which you should get checked out immediately. If you change your engine oil regularly, you wont be able to judge whether or not your oil needs changing from the level point. Instead you will have to see how clean the oil is visually and feel the texture of the oil to see if it is rough. 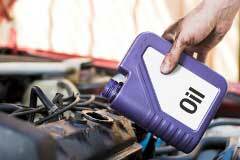 As I am advising that changing engine oil is important however many drivers forget to change engine oil. As a result, old engine oil itself seizes your engine. In order to prevent from damaging your engine, our professional mechanics of PicknBuy24.com inspect all the vehicles including engine oil twice before listed on the website and berfore shipment. If necessary, engine oil is either replaced or added. When you change your engine oil, have a look at the oil. It is very clean and smooth if you feel it. Use this as a guide line to see whether or not it needs changing. The dirtier and rougher the oil, the more your car has been driven.